Stay up to date on all the buzz with our blog. May 6- The new FD Luxe showcased their fabulous design, coming out in an equally fabulous space. We were honored to be featured in their new May issue. Thank you Christopher Wynn, Tracy Hayes and Crystal Pollard! The party was well attended, perfect flow capacity, with art work gracing the walls from Conduit Gallery and The Public Trust. The Trinity Project also contributed to an evening presenting sweeping change in the City of Dallas. April 30 — PaperCity and W Magazine hosted a special reception at Studios 1019 in celebration of Donatella Versace’s new Northpark store. Dallas’ best heeled noshed and sipped Wendy Krispin’s fabulous catering, danced to Lucy Wrubel’s tunes, and enjoyed Todd Events’ modern cool décor. April 27— Studios 1019 joined Facebook! Become a fan today! April 14— Studios 1019 Made the 2009 Daily Candy Wedding Guide! You love the outdoors, but garden weddings literally make you sick. 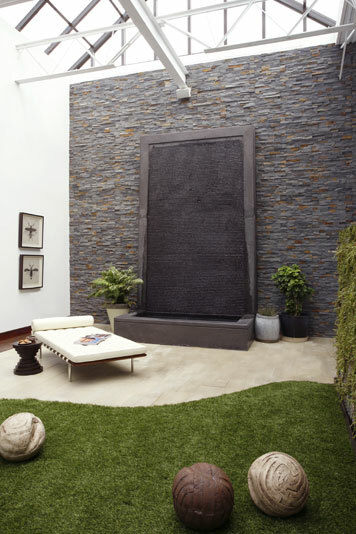 Avoid allergy attacks at Studios 1019, a budding 7,000-square-foot indoor white venue with a lush green atrium, rock walls, and soothing fifteen-foot waterfall. January 5 - Thanks very much to F!D luxe for their inclusion of Studios 1019 in their latest issue. One point of clarification: while our beautiful atrium is 800 square feet, the entire space is 7,000 square feet. So please don’t think we are too small for your 500 person cocktail party! January 1 – Happy New Year! The marketing and public relations for Studios 1019 are launched with the invaluable guidance of our new PR agent, Ms. Kristen Dickson (www.kristendicksonpr.com). Thanks Kristen, you rock! December 19 – Studios 1019 registered with The Knot (www.theknot.com) and has received many inquiries from couples who got engaged over the Holidays. Congratulations to all! November 11 – Studios 1019 hosted its first event at our new location. “170 Years of Tiffany’s” hosted by The Fashionistas (www.thefashionistas.org) and The Dallas Morning News’ F!D luxe Magazine (www.dallasnews.com/fdluxe). It was a smashing success!